The Oil Chaplaincy Trust and the Anthony Nolan Trust have been selected as charities that will receive funds collected at the North Sea Chapter (NSC) Annual Safety Awards. A total of £4,660 was raised through personal and company donations and with the chapter’s pledge to match all funds raised. NSC chairman Steve Rae of Seawell led a cheque presentation at UK Oil and Gas Chaplaincy offices. Ex-officio NSC vice chairman Roger Hodgson of KCA DEUTAG and John Davies of Odfjell Drilling were also present. The Rev Andrew Jolly of the Oil Chaplaincy Trust expressed his thanks to the IADC and all those who contributed at the awards dinner for their continuing support. Stavanger, a critical operations base for Norway’s buzzing drilling industry, was the host city for the third gathering of IADC’s International Forum of Energy Centres and Museums (IFECM) on 16-17 June. Delegates from eight energy centers representing five countries – Azerbaijan, Canada, Germany, Norway and the United States – convened at the Norwegian Petroleum Museum to share ideas on improving public perception of the drilling industry. Participants discussed ongoing projects, as well as possible future collaborative efforts such as the digitization/preservation of historical oilfield documents. However, the central theme of the forum remained public outreach, and the group shared ideas such as brown-bag lunches, career days, discovery days, “pre-visit packs” and family activity days. In the end, the group decided that its next project would be to produce an educational short film, as that was seen as the most versatile medium to educate the public. The film, to be 12- to 15-minutes in length, will provide an overview of the energy industry with an emphasis on oil and gas drilling. It will target an audience with at least a 5th-grade educational level. 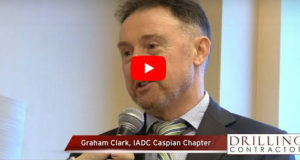 “Ideally, the video will be easily understood by children and entertaining for adults as well,” said IADC vice president – membership and publications Jason McFarland, who represented IADC at the meeting. The film will be featured in energy centres and museums around the world and will be made available to teachers for use in classrooms. Production cost is estimated to be $100,000 to $500,000, and the IFECM group plans to reach out to energy companies for industry funding. The mission of IFECM is to share ideas on educational programs that will better educate the public, ultimately improving public understanding of the petroleum industry and its role – past, present and future. IADC started the forum in 2006, with an inaugural meeting in Amsterdam in February 2006. A second meeting was held in March 2007 at the Wiess Energy Center in Houston and the Ocean Star Offshore Drilling Rig and Museum in Galveston. As part of its continuing effort to promote HSE commitment and advances in drilling technology, IADC is forming the European Operations Forum (EOF). 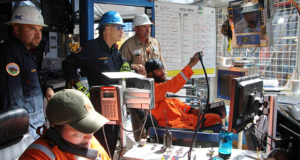 The EOF will build on the achievements of the European Working Group and develop a stronger IADC regional body focusing on policies that effectively meet drilling contractors’ 21st-century needs. The EOF will provide overview and guidance for IADC offshore and onshore activities in the region. 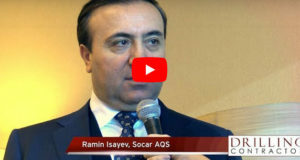 Coordinated with the various IADC operations departments and government affairs office, it will be the focal point for dialogue with regulatory agencies across Europe while also being responsible for the execution of activities and projects for drilling contractors operating in the region. The Forum Steering Committee is made up of Joep Beyer, KCA DEUTAG; Jørn Madsen, Maersk Contractors; Eelke Strikwerda, Noble Drilling; Sveinung Lofthus, Seadrill; and Paul King, Transocean. The inaugural meeting of the EOF will be held on 8 September 2008 at the Dylan Hotel in Amsterdam. More information about the EOF can be found on IADC’s website at www.iadc.org.